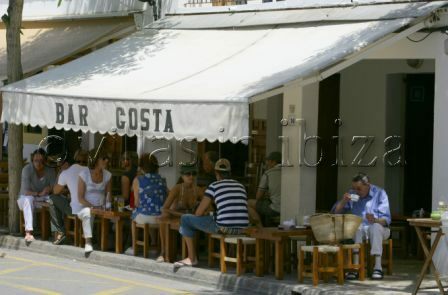 If you want to experience a true taste of authentic Ibiza, then Bar Costa is the place to be. Located in Santa Gertrudis, it’s one of the oldest bars on the Island and even today retains the charm of forty years ago. The walls are covered with a unique selection of paintings and several dozen jamon serano’s (cured hams) hang above the bar. In the winter you can sit inside around the fireplace, or enjoy a drink on the terrace during the summer months. Either way, you have to experience the taste of their famous toasted sandwiches, something that has drawn people back there time and time again.